CLEVELAND — Want a cold one from the concession stand, but do not want to wait in line and miss a moment of the action between the Cleveland Cavaliers and one of their Central Division rivals, the Detroit Pistons, at Quicken Loans Arena tonight. The Cavaliers and Aramark are set to launch a “Beer to your Seat” program, where patrons can use iPhones to order and have the adult beverages delivered to their seats. “The intersection of technology, service and convenience continues to motivate us, and we’re pleased to be working with our partners at Aramark on this innovative approach to ordering,” said Nic Barlage, Cavaliers and Quicken Loans Arena President of Business Operations. Darren Rovell, a sports business reporter/senior producer for Action Network HQ, was among the first to report the news. For tonight’s game against the Pistons, about 35 percent of the fans in the lower level main concourse at Quicken Loans Arena will be able to use the “Brew2You” program. For iPhone users with the iOS 11.3 operating system, it is a simple five-step process, as they need to open their camera, scan a QR code, tap a dropdown menu, text the order and settle the tab through Apple Pay. The Cavaliers are the first team to use the program, and if the trial is successful, they could decide to use it universally during the 2019-2020 season. “We’re excited to be piloting this new service offering at Quicken Loans Arena,” said Kevin Kearney, District Manager, Aramark’s Sports & Entertainment division. “With more people using their mobile devices for everyday transactions, we’re continually searching for innovative ways to incorporate digital technology into the food and beverage experience. The new beer delivery system is the latest addition to The Q’s robust changes going on during the transformation of the 25-year old arena. 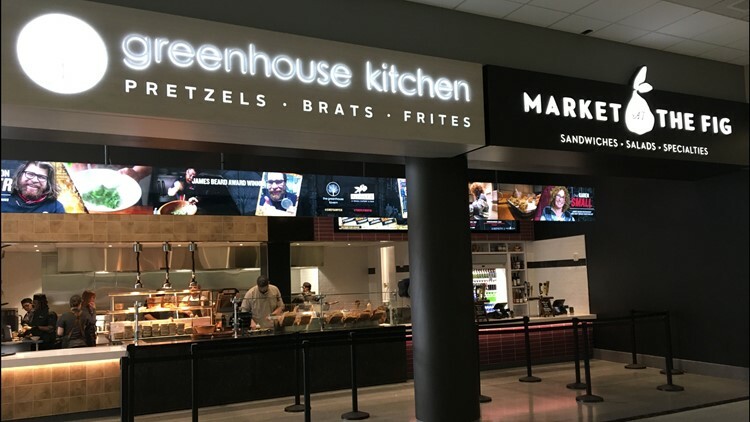 Last week, the Cavaliers and Quicken Loans Arena announced partnerships to bring in Jonathon Sawyer’s The Greenhouse Kitchen and Karen Small’s Market at the Fig restaurants near the Discount Drug Mart entrance in the arena’s South Neighborhood close to sections 116-117 to further diversify its concession offerings to fans. The combined stand is close to the new Saucy Brew Works beer garden. Along with Sawyer and Small’s restaurants, Quicken Loans Arena has Quaker Steak and Lube, B Spot Burgers (Michael Symon), Rocco’s at The Q (Rocco Whalen), Rascal House Pizza, Bar Symon and Dippin’ Dots among many other offerings, including the more traditional concession stand fare.